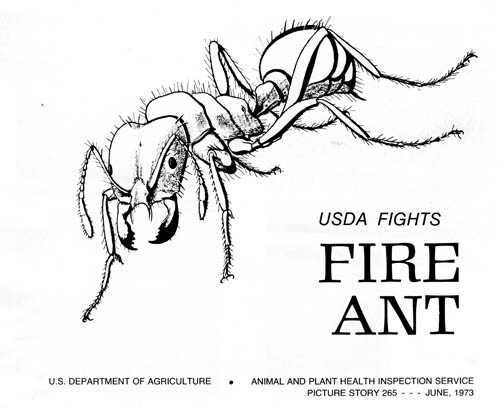 Fire ants have been vilified as a plague, a menace to innocent civilians, a killer of babies, and a damaging economic force for the agriculture industry. Georgia and other affected southern states have been engaged in a battle to eradicate them for at least 60 years. The ants are winning. Fire ants journeyed to the U.S. from Brazil in 1918 through the port at Mobile, Alabama. After 30 years adjusting to the climate, they began to expand rapidly - by the end of the next decade they had spread to nine southern states. 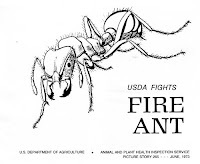 Because of the ants’ ability to migrate to new territories, the affected states called for a nation-wide eradication program to combat the invasive species and the federal government got into the fire ant eradication business in 1957. They spent millions of dollars each year and halted the spread of the fire ants’ territory but made little progress with removing them from already-infected states. 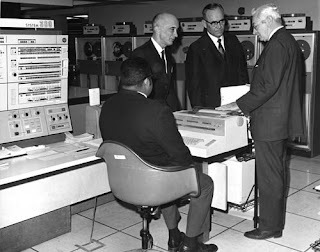 Hopes were raised in 1962 with the first use of the chemical mirex. With enough applications of this pesticide, it was possible to decimate fire ant populations. During the 1960s, Georgia’s state-wide fire ant eradication program succeeded in pushing their territory back to the southwestern corner of the state. 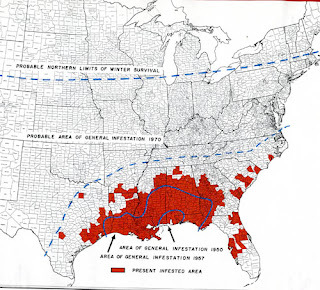 But conditions were still so bad in 1969 that Mississippi led the southern states in putting pressure on the USDA to end the problem once and for all. But eradication was not to be. In the 1970s, the EPA banned mirex after studies linked it to cancer and birth defects. 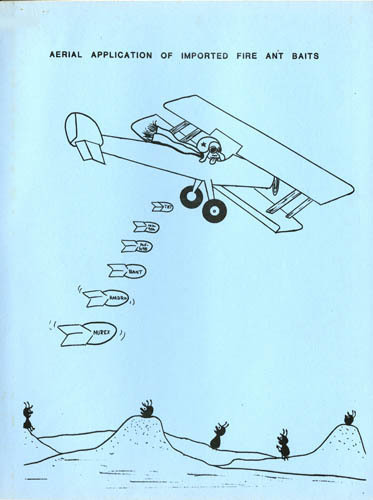 Researchers looked into thousands of chemicals and found others with some promise, including AMDRO (still in use but with limited effectiveness) and ferriamicide (later banned for being worse than mirex), but none proved as effective as mirex had been and conversations turned from “eradication” to “containment.” By 1980, reports estimate that the government had spent $100-150 million on the war against fire ants and yet the ants keep spreading. Commissioner of Agriculture (1954-1969), Under Secretary of Agriculture (1969-1975), and agricultural consultant (1975-1998). In each position he participated in groups that studied the problem, advocated for government funding for eradication initiatives, and travelled the country speaking about the importance of the fire ant issue. As Under Secretary of Agriculture, he was involved in the negotiations between the USDA and the EPA about mirex and other pesticide use. Campbell’s papers are housed at the Russell Library and were recently opened for research. They include correspondence, reports, internal government memos, and research files about his work with fire ants and a myriad of other agricultural issues. The battle continues to this day. Fire ants continue to spread and the USDA has an active research project, Imported Fire Ants and Household Pests, on how to stop them. 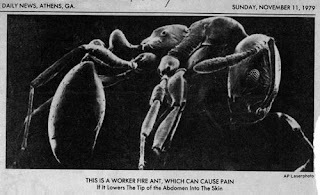 But nearly a hundred years after they first appeared in this country, fire ants may be here to stay.